Happy Holidays: Ticket and Tax Amnesty for Chicagoans! 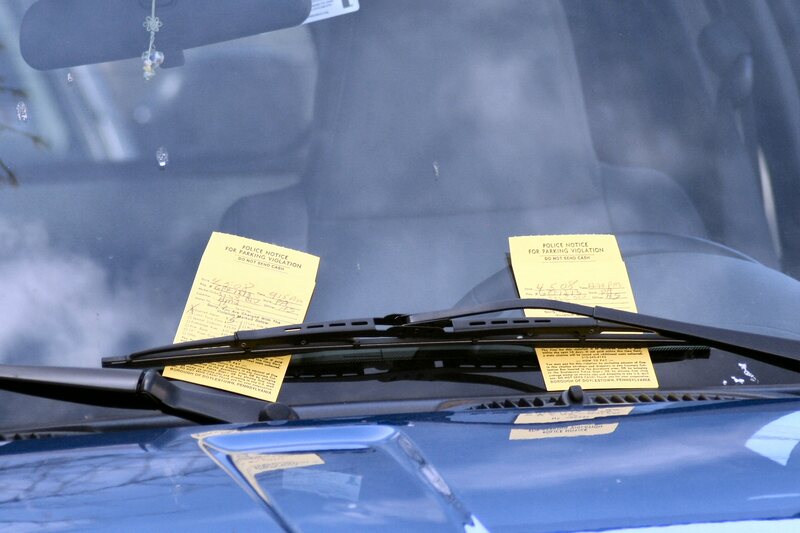 Two parking tickets, tucked beneath a single windshield wiper, await a likely angry driver when he returns to his vehicle on a street in downtown Doylestown PA. 2008-04-05. Great news, if you are an individual or a business that owes debt to the City of Chicago. The city has announced that it will be running an amnesty program, referred to in the 2016 Budget as a Debt Relief Program, that will forgive eligible debt. Some driving-related debts are waivable under the program, including penalties and fines associated with parking tickets and moving violations. There are also non-driving debts and even tax debts eligible for inclusion in the Debt Relief Program. This program will not last long, and if you can, you should take advantage of it as soon as possible. The amnesty program begins on Sunday, November 15, 2015 and ends on December 31, 2015. What Types of Tickets Qualify for Amnesty? Taxes incurred before January 1, 2012 (this includes assessed tax obligations as well as debts owed by those who did not file). Unfortunately, taxes or violations that are already in a payment plan or are already pending legal activity with the City of Chicago are not eligible for amnesty under the program. What Fees Will Be Waived Under the Debt Relief Program? Most of the fees associated with the above categories will be forgiven under the program. All penalties, interest, and collection costs associated with the eligible debt will be waived during the Debt Relief Program, meaning that all you owe is the original fine or tax amount. However, additional costs arising out of the eligible debt as a result of towing fees, storage fees, court costs, or administrative fees are not subject to the Debt Relief Program. You must pay the entirety of the original fine or tax amount by December 31, 2015 (the end of the program), to take advantage of the waiver of fines and penalties. The same is true for parking tickets or red light tickets; you do not have to pay every outstanding ticket you have under the Debt Relief Program, but any ticket that you do choose to pay through the program must be paid in full by December 31. Unsatisfied outstanding debt, especially tax debt, can lead to adverse collection consequences, such as suspension of your driver’s license, vehicle immobilization (a boot), revocation of your business license, or wage garnishment. Satisfying debt under the Debt Relief Program will let you settle your overdue debts at a fraction of the cost, and in the process remove a major source of stress from your life and the life of your loved ones. This is only the fourth time in history the City has offered a program like this, and it may not happen again anytime soon. Therefore, if you are financially able to do so, it is a great time to pay off all of your unpaid parking tickets, red light tickets, or tax debts. If you would like to discuss the applicability of the Debt Relief Act to any debts you may owe the City of Chicago, or if you need help with outstanding tickets or unpaid or unfiled taxes, contact an experienced Chicago attorney today for a complimentary consultation.